Coming from a family of doctors, his future path was already set, but Merajuddin Abbassi isn’t a follower rather a creator, who created his own path to success. 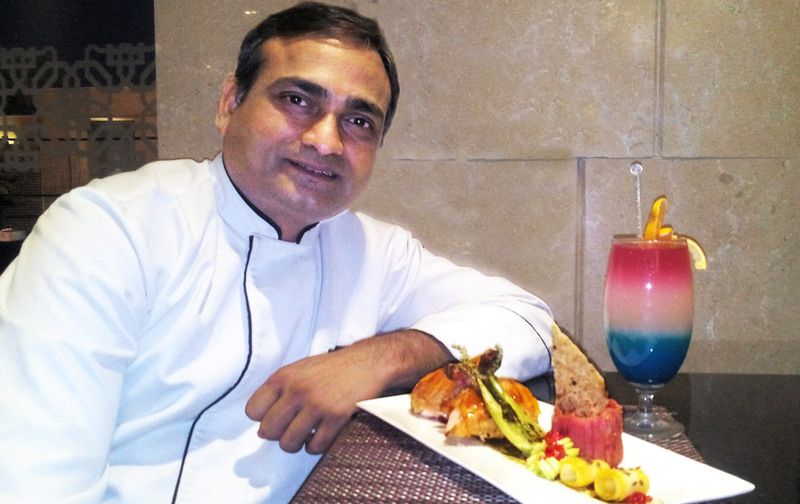 After 16 successful years, today Abbassi is an Executive Chef at Radisson Blu Hotel, Jaipur, and manages more than 50 chefs. It wasn’t easy to get a piece of his mind during our visit to Jaipur, but when we did catch up with him in person, we knew it was worth persuading. With an ever-smiling face and a down-to earth personality, Chef Abbassi makes everyone feel at ease around him while ensuring that the customer gets the best. While it wasn’t on the card, he also took us through the Punjabi Food Festival that was an initiative of Radisson Blu to give its customers the authentic taste of the food from the Punjab region of India and Pakistan. Ranging from Aloo Gobi, Mint Paratha and Lassi to Seekh Kebab, Beef Kadai and Tandoori Chaap, the items displayed were a right mixture of true Punjabi food. 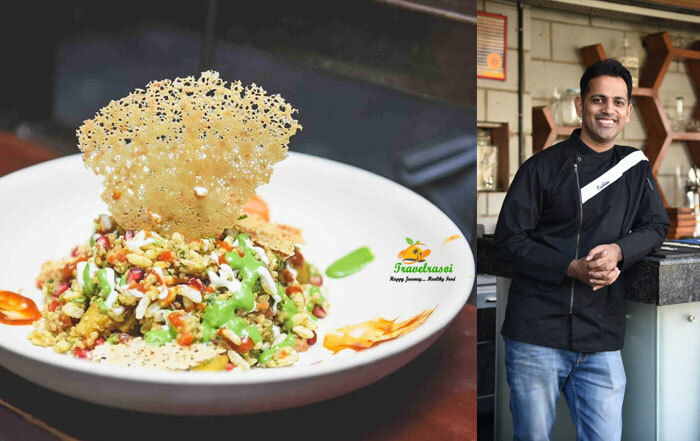 However, we had to take a break from the mouth watering chaats and kebabs to get back to our tête-à-tête with the Chef as he discussed his passion for food in details. Today, a Chef has evolved a lot with the increasing expectations of people from the concept of food. I grew up observing my mom cooking day in and day out in the kitchen, and the conviction with which she cooked every dish made me realize that food is my calling. I wanted to take this passion to a new level, beyond the boundaries of home to the world at large. Also, the fact that I am a foodie at heart, I understand that food should appeal to people to create a memory that they can take along even after their meal is over. Personally, one of the first dishes that I cooked at home was Atta halwa. It’s a winter special of my mom and a favorite of mine. Thus, given the chance, it was the first dish that I tried my hands on. 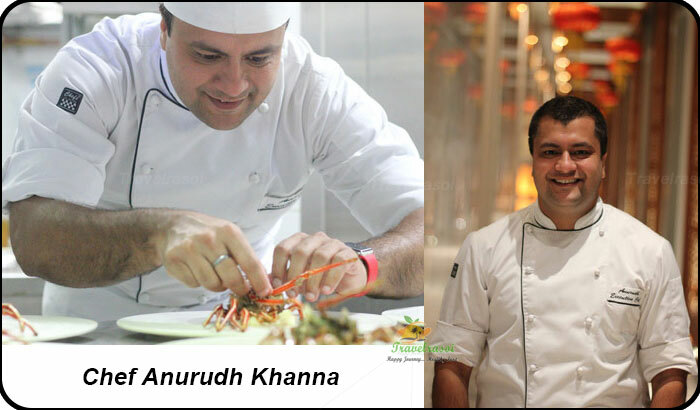 My professional cooking began during my classroom training days at Institute of Hotel Management, Kolkata, where I began with the basics, such as Jeera Pulao, Dal Tardka and Chicken Curry. How many years have you been in this profession, and could you briefly take us through your journey? I have a total of more than 16 years of experience and my journey began with the Quality Inns in Chennai, which is a part of with the Choice Hotels group. I continued in Chennai, with Hotel Oberoi (Trident) for around three and half years. Soon I left for Miami to join the Carnival Cruise lines but after a year, I returned to India to join the Grand Hyatt. After Grand Hyatt, I had a stint at Taj Exotica, but soon I found myself back working with the Hyatt group, and I stayed with Hyatt Regency for around seven to eight years. I was also part of the team while establishing Grand Hyatt Goa. Across my stints, I found that each brand had specific touch points. While Hyatt had great procedures with regard to overall management, Taj and Oberoi are staff focused. At Radisson Blu, I am enjoying the work, as well as the people with whom I am working as they are extremely co-operative. Kitchen is a skilled line, and it’s all about practical knowledge. Theoretical knowledge does not include all aspects of the kitchen. So, for instance, experimenting with different tastes to get that desired outcome needs some skills, which we can develop only with experience. Also, as a fresher, while working along with highly experienced chefs, you tend to get to handle only the basics. Hence, it becomes imperative to create a rapport and mollify the skilled veterans of the kitchen to understand the nuances of cooking and get a hold of the best practices that they apply while putting a dish together. It could be a little extra spice, which can make a huge difference to a dish. Who is the biggest critic in your life? My parents have always been my guiding stars. I always shared my thoughts with my father. My parent are both doctors and when I decided to be a Chef, there were initial inhibitions about the career path that I was about to step into. However, witnessing my zeal they relented and then on whenever I felt a need, I knew I could look up to them for directions. It’s not always rosy, because being parents while they revelled in my success, they also ensured to intervene with their apt guidance to stir me away from a wrong track. What’s your favourite style of cooking? 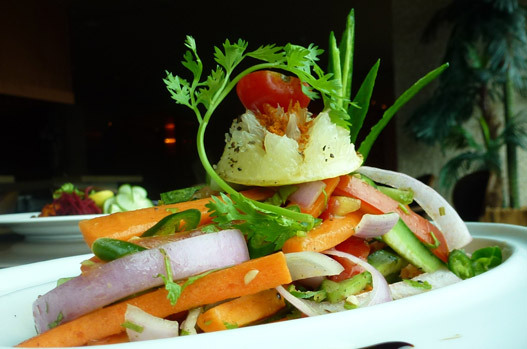 I like all style of cooking, but I am inclined towards new-age Indian cooking more. 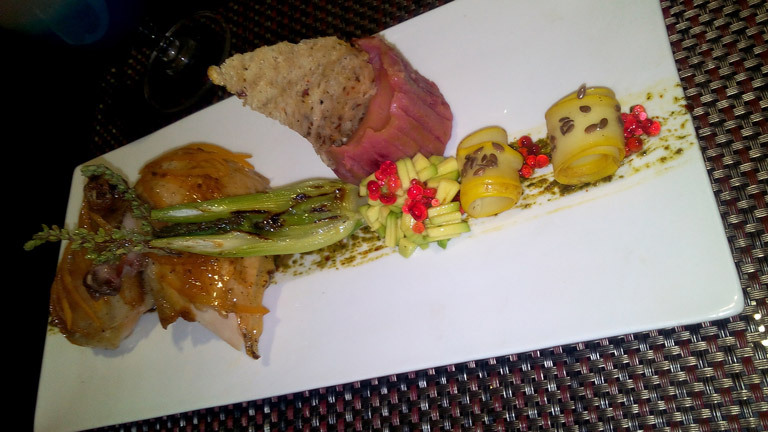 It is about presenting a dish in a contemporary style while retaining the authentic feel and taste of it. What’s your favourite ghar ka khana (home-cooked food)? Do you cook at home? Yes, I do cook at home some times, and my favourite ghar ka khana would be Aloo matar tamatar (Potato and peas curry with tomato) with crisp tawa parathas. Whenever I am free, I like to cook biriyani for my wife and two daughters. What would be your advice to aspiring chefs? Today, going by the fast pace of life, everyone wants a quick route to success. As I mentioned before, the tricks of the food industry cannot be learned in a day. It takes time, so instead of job hopping I believe, one should stick to a place for the initial years to learn the basic ropes and form a strong foundation covering every nitty-gritty of the business. It is then that they may think of jumping ships. There will be too many lures, with new hotels coming up everywhere, but it is only with patience and experience that one can truly succeed. What’s your thought on fusion food? 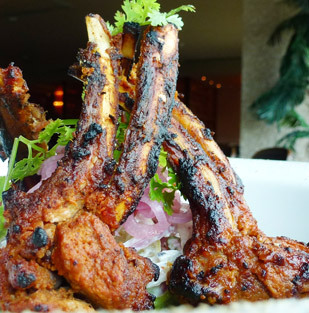 Fusion food is good, but we should not miss out on the authenticity while creating a fusion. Clean and pat dry chicken properly,marinade with salt,pepper,chop thyme,chop garlic,vinegar,orange juice,orange zest and oil. Refrigerate and keep for two hours. Meanwhile make salsa by mixing all above ingredients. Check seasoning. Preheat oven at 180’c. Arrange chicken in a tray and roast it in the oven for about30mins or till done. 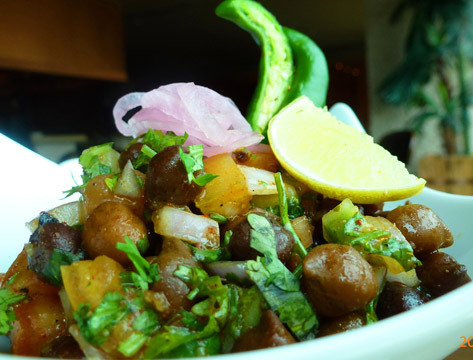 Serve hot,plate with avocado salsa and accompaniments as per choice. 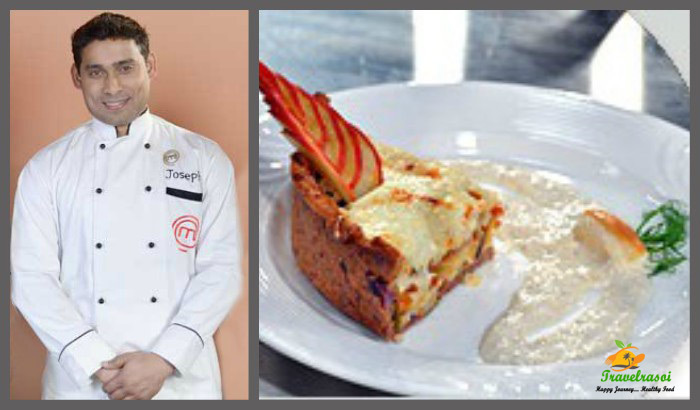 Share the post "Mom’s Recipes Churn Out The Passionate Radisson Blu’s Executive Chef – Jaipur"
Thank you for sharing with us your lovely thoughts. We are focused on providing our readers with content that not only appeals but is also informative. We welcome all kinds of feedbacks or queries. Do feel free to get back to us at travelrasoi@gmail.com.